Tommy Hilfiger ladies' stretch beaded bracelet in polished gold plated stainless steel. 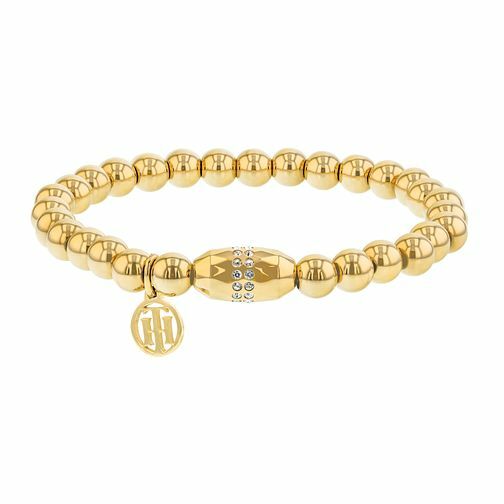 Two rows of clear set crystals are wrapped around the gold plated faceted bead, this bracelet is complete with the Tommy Hilfiger skeleton logo charm. This bracelet has an inner circumference of 16.5cm.